Representatives of the farming unions, livestock farmers’ associations and environmental groups don’t often agree, but all think the Transatlantic Trade and Investment Partnership should be stopped. 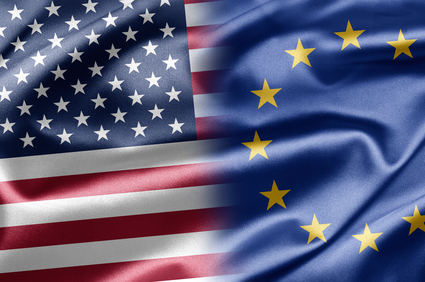 The European Union (EU) and the United States (US) are in negotiations about a free trade agreement (TTIP). This is happening behind closed doors, and the precise contents of the agreement have not been made public. But farmers and livestock farmers know enough for the alarm bells to go off: the TTIP will flood the European market with American agricultural products produced to a lower standard. This will adversely affect the incomes of farmers, the safety of our food, workers’ rights, the quality of the environment and animal welfare. The same goes for the Comprehensive Economic and Trade Agreement (CETA) the Canadian variant of the TTIP. These agreements leave no room for production standard requirements, apart from a brief mention of food safety. The EU and the US have fundamentally different rules for allowing products and materials onto the market. The EU favours a precautionary approach: no, unless proven to be safe. The Americans turn this around: yes, unless. They will only ban a product or material if it is proven to be unsafe. American agriculture and livestock farming have no legal standards regarding animal welfare, and standards for pollution, food safety and working conditions are much less stringent then in Europe. This means production costs are much lower. Because the EU and the US want to come to a mutual recognition of each other’s standards the abolition of import duty will open the door to unfair competition from American products. Tariff-free import quota for American products will likewise lead to unfair competition and lower prices. The European market will become unbalanced and this will seriously affect the continuity of the primary agricultural sector in Europe. Unfair competition will force farmers to scale up and family businesses will be closed. Job losses in the supply chain and the processing industry will be inevitable. The working conditions and workers’ wages in the entire agricultural sector will come under even more pressure. The fact that the European Commission and the Dutch government maintain that standards won’t be lowered in no way constitutes a guarantee for farmers and consumers. Already the EU is postponing and relaxing laws governing food safety. With TTIP and CETA raising standards would become practically impossible. Standards can only be raised if the farmer pays for the added costs and the EU market is protected against products that comply with lower standards. But with free trade agreements that is impossible. American as well as European research shows that European agriculture and livestock farming will suffer once the TTIP comes into effect: there will be more imports, lower production and lower prices. We find the enthusiasm of our politicians for these agreements incomprehensible. We demand an end to the TTIP negotiations. We demand that CETA not be ratified by the EU and the Netherlands. Should the negotiations continue then agriculture, livestock farming and food should be excluded.